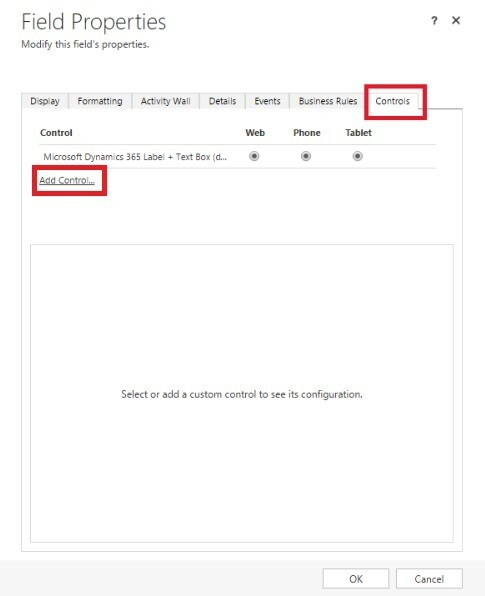 Recently while working in Dynamics 365, we noticed that autocomplete functionality is not working on UCI but it is working properly on the Web. 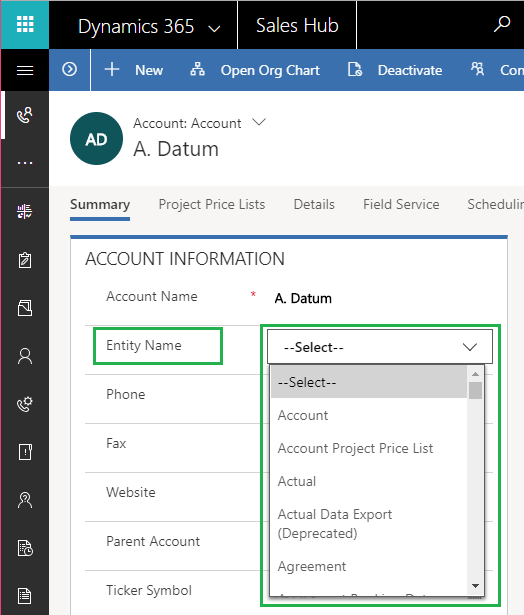 So after some research and play around we found a solution for this problem to show the list of entities. Let’s see how! 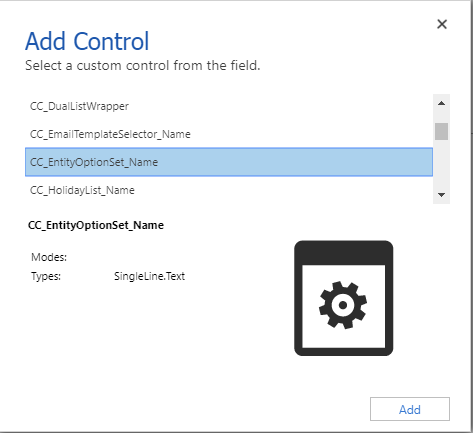 In the following example, we want to add the CC_EntityOptionSet_Name Control to a custom string field, ‘Entity Name’ on the Account entity. 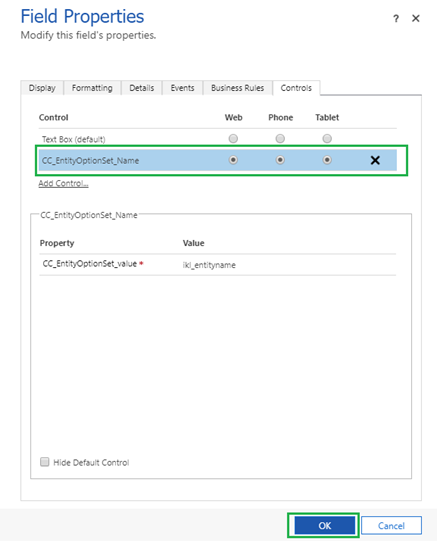 The CC_EntityOptionSet_Name Control filters a list as an option set and allows you to select a value from the drop-down list rather than typing whole text. 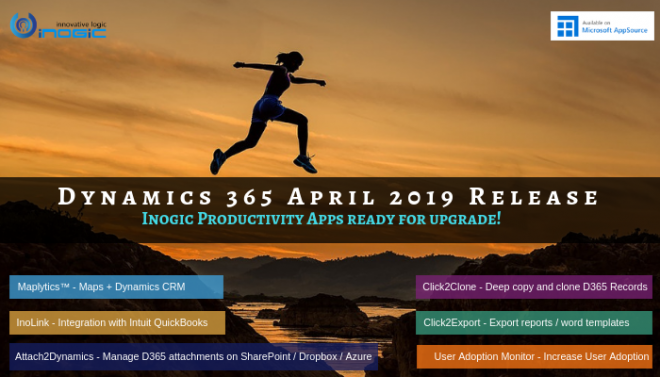 It is helpful for users to save time while entering data on the Dynamics 365 UCI, Mobile and Tablet app.